Elephants are nomadic creatures, moving across the land between feeding grounds and watering holes. As they need so much food to survive – about 5% of their body weight in food each day – their roamings take them over huge tracts of land. In Sri Lanka, people and elephants are struggling to live alongside each other on the outskirts of a national park. The park is not fenced, and traditionally the elephants have always left the park in search of extra food and water. As Sri Lanka has become increasingly more reliant on producing its own food, more and more people have been relocating to wild untamed areas of the country to farm. One such farming community has been formed in a corridor that elephants use to gain access to the river from the national park. As a result of this, the villagers suffer extensive crop losses from the elephants. In 2012, the volunteer programme created a pilot project in this village. It is widely known amongst conservation aficionados that elephants do not like oranges, and will do all that they can to avoid them. 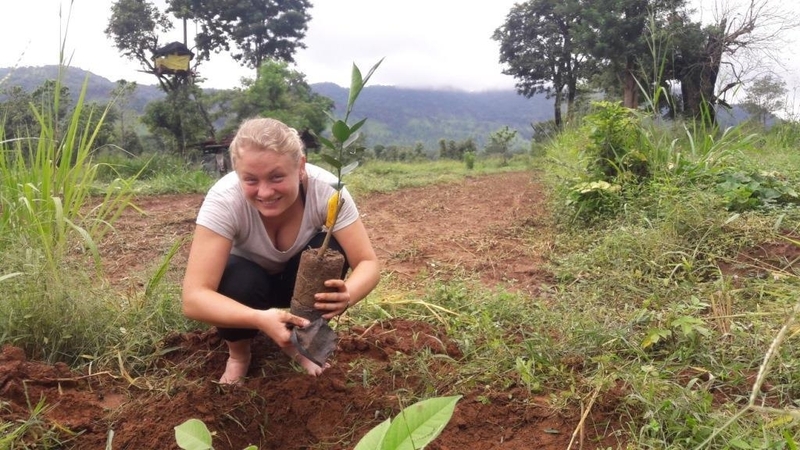 The pilot project gifted orange plants to members of the village, so that they could plant crops that elephants would not be interested in eating. 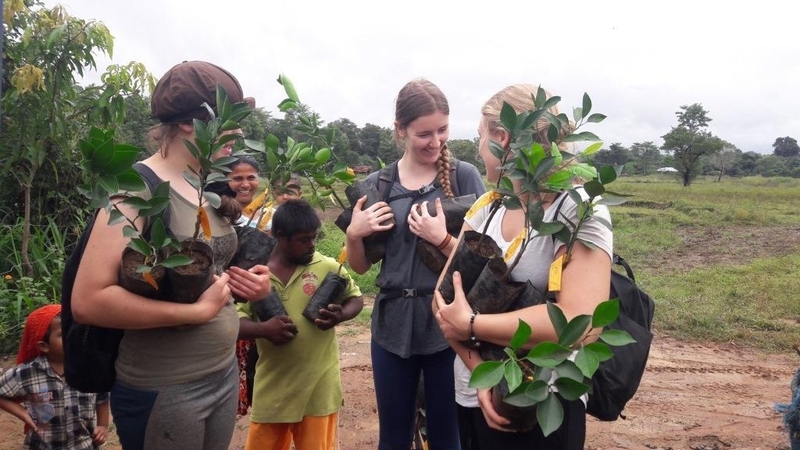 In 2017, the volunteers helped to visit the farmers and monitor the success of this project – the fields look stunning, with trees offering a bumper crop of juicy oranges, which can be sold at markets in Kandy and Colombo. The elephants have not once raided the orange fields. The success of this project to date has led to another village receiving a different kind of trial – they will be using orange trees not only as a crop, but as a barrier. Orange trees will be planted around the borders of the properties to create a buffer between the elephants and the crops. Volunteers will be helping not only with the planting, but also monitoring the success of this venture. We are excited, as ever, to be part of the solution to elephant-human conflict in Sri Lanka. To find out more about this project, visit our elephant conservation webpage.